The use of ALA-PDT has been shown to be successful for the treatment of recalcitrant verrucae, condylomata acuminata, and molluscum contagiosum lesions. Studies have shown that ALA-PDT is a useful modality for these lesions and that it should be considered when confronted with a patient with any of these viral conditions. 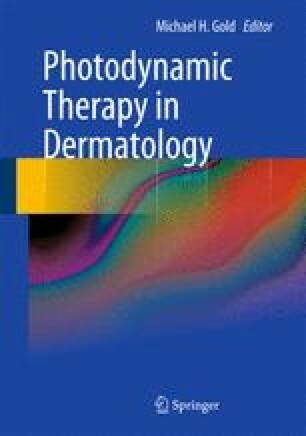 Additional studies are warranted to further evaluate protocols used, light sources, and incubation times, to determine how to make the therapy even more appealing to clinicians and patients alike.